Web sites store cookies on your computer to keep track of information about your activity on the site. A cookie is a small text file stored by a web site on your computer or device to keep track of information such as your browsing on that site, preferences and for example shopping cart contents. Cookies are not software. They cannot be programmed, cannot carry viruses, and cannot install malware on the host device. Every visit to our site is recorded by Google Analytics cookies. This is for our own purposes only and is used for our site statistics. These cookies do not contain any personal data which could be used to identify you. We do not use any third party tracking cookies that can be read by other sites. If you select products and put them into your cart we put a cookie on your device to remember which items you selected. This will remain in place for 10 days to enable you to add more products during this time. After 10 days your browser will automatically delete this cookie. This cookie does not contain any personal data which could be used to identify you. When you register on our site we put a permanent cookie on your device to store your last name and email address. This enables you to login automatically on your next visit. When you add products to the cart we use a session cookie. 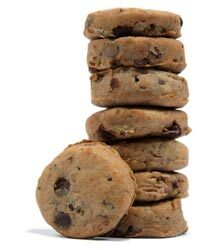 Session cookies ensure that you are recognised when you move from page to page within our site and that any information you have entered is remembered. Specifically they remember the items in your cart and which page you were on, so that you can continue shopping from where you were. Session cookies are temporary and are erased when you close your browser.